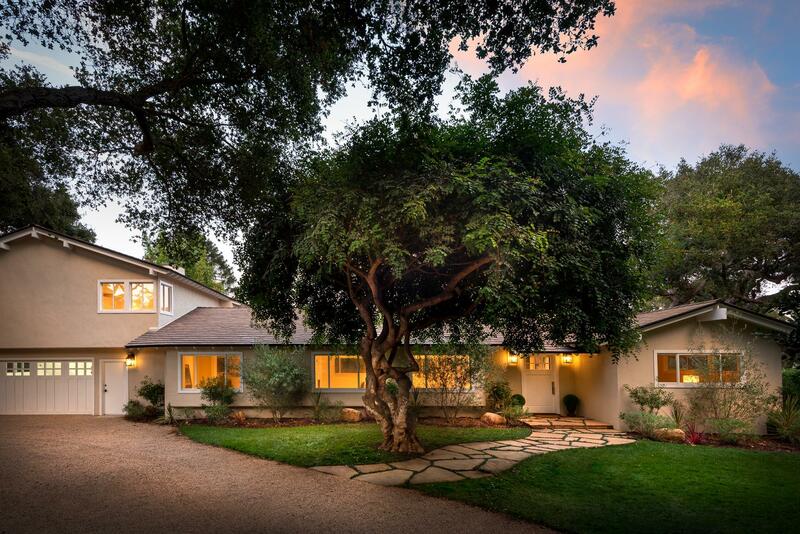 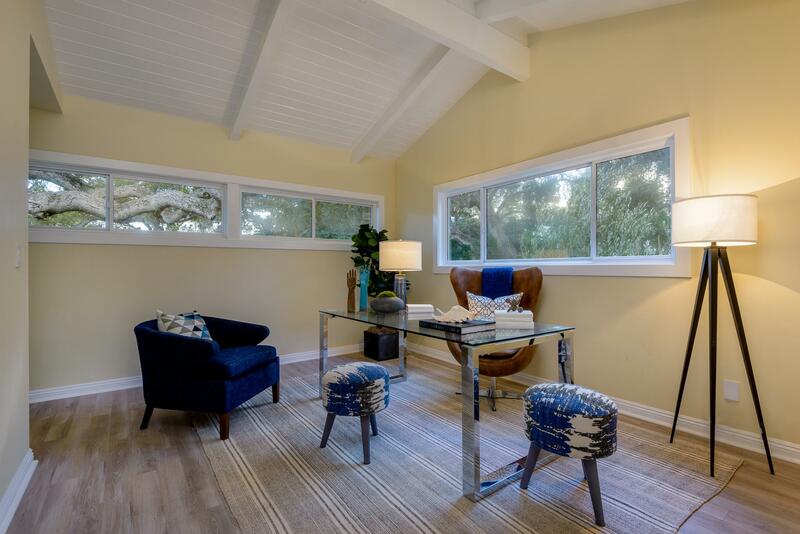 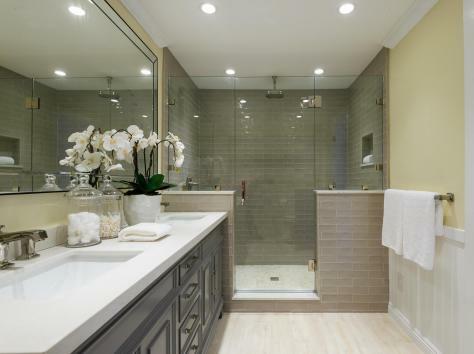 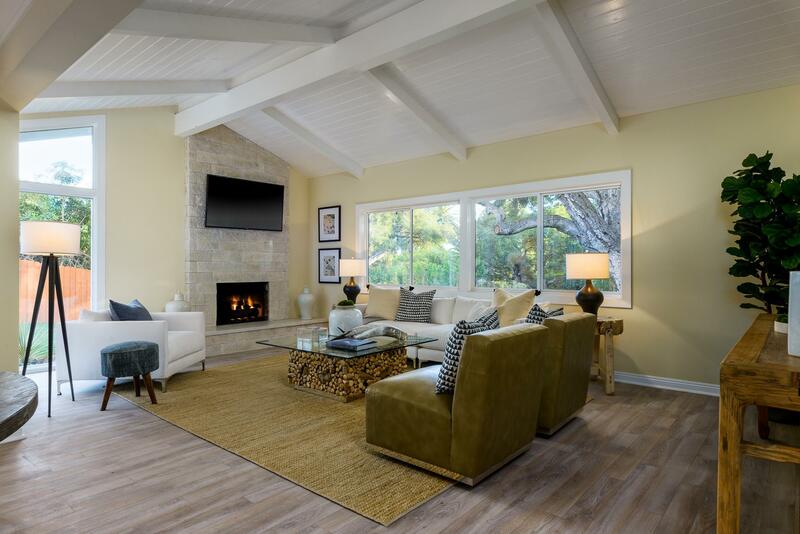 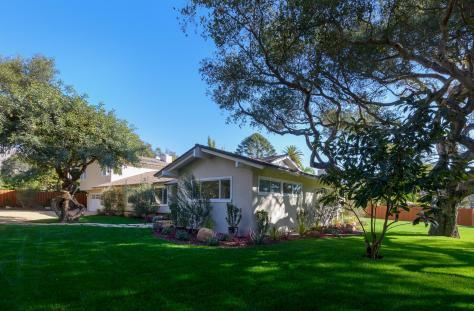 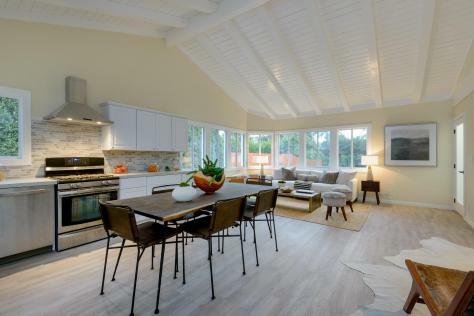 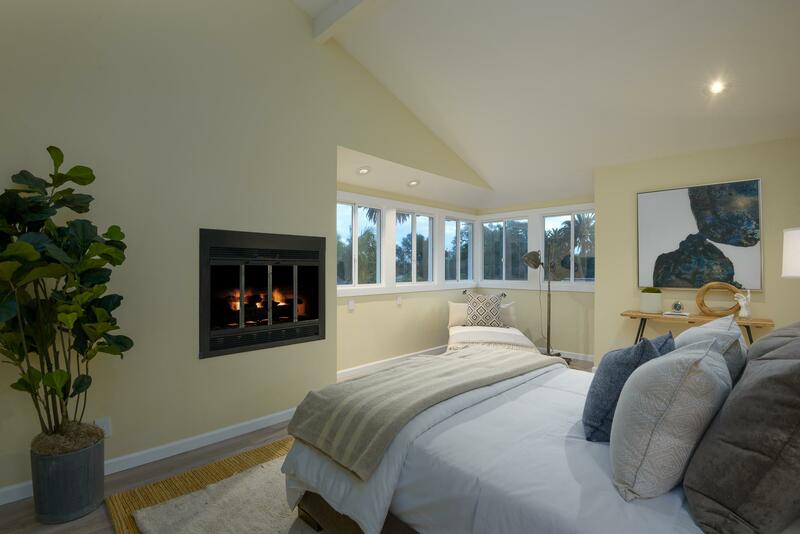 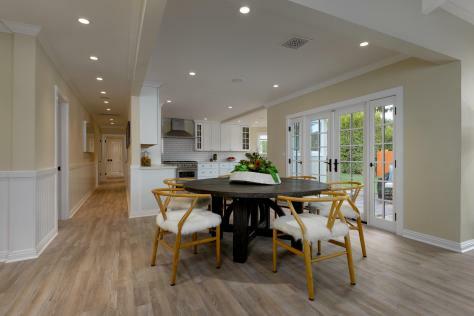 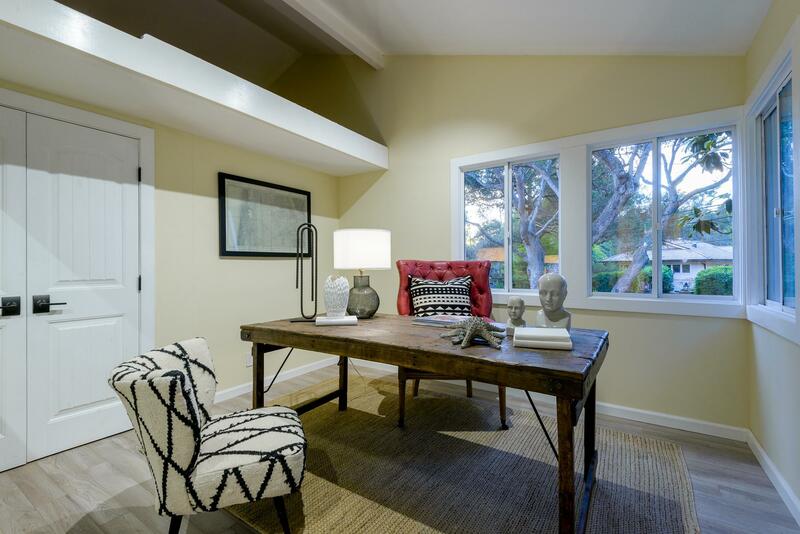 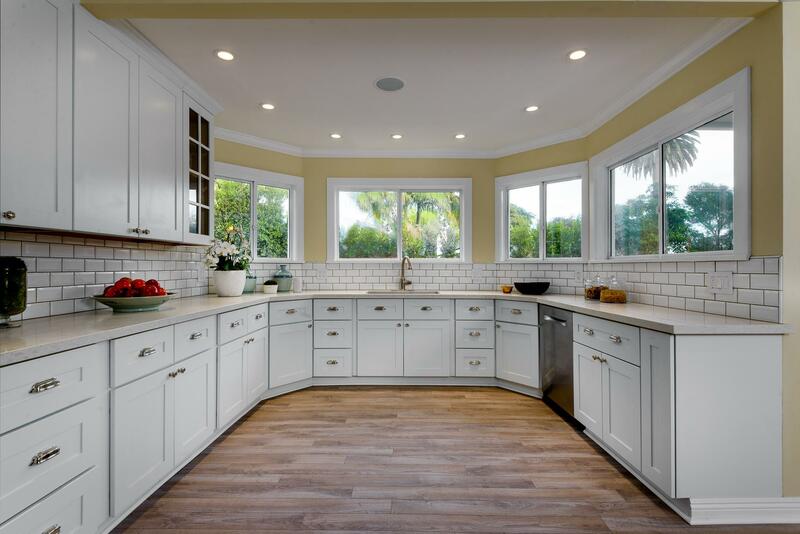 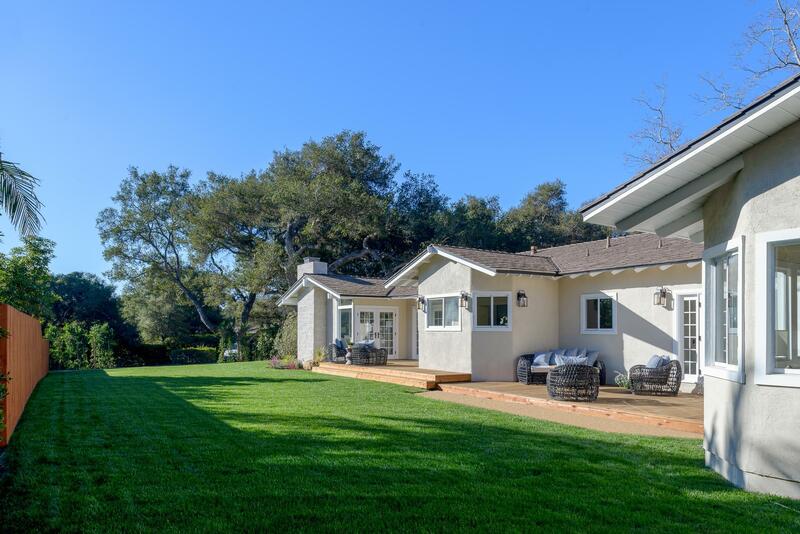 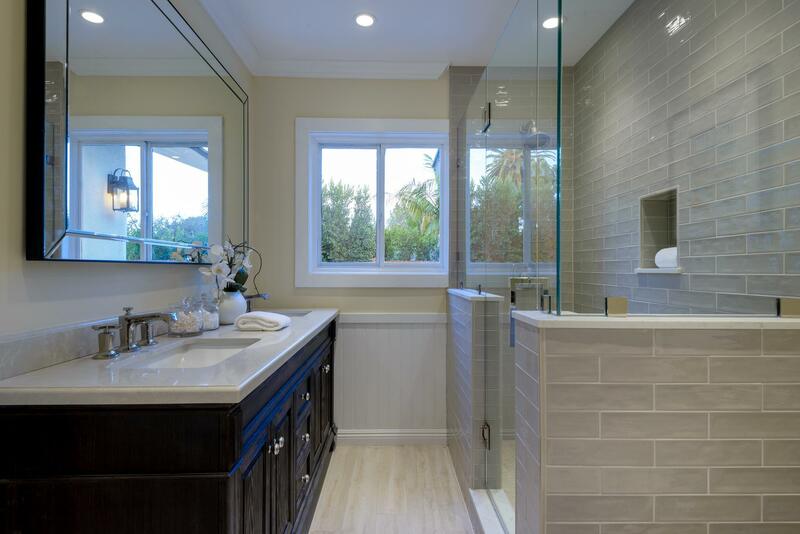 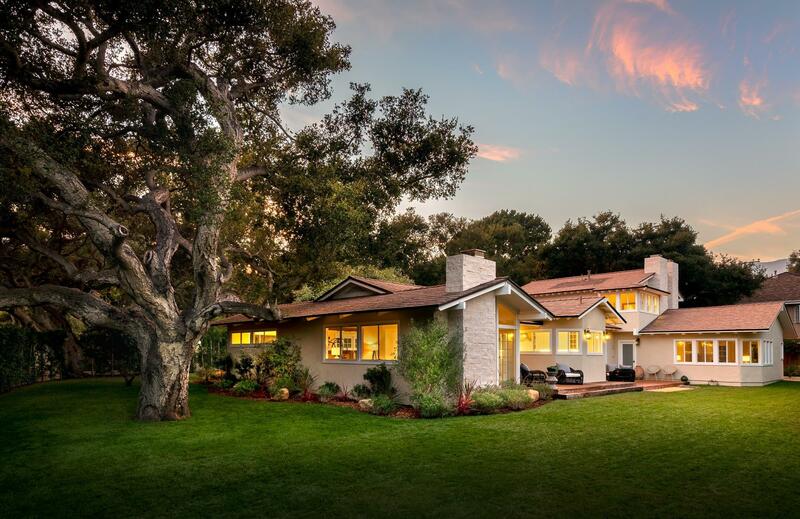 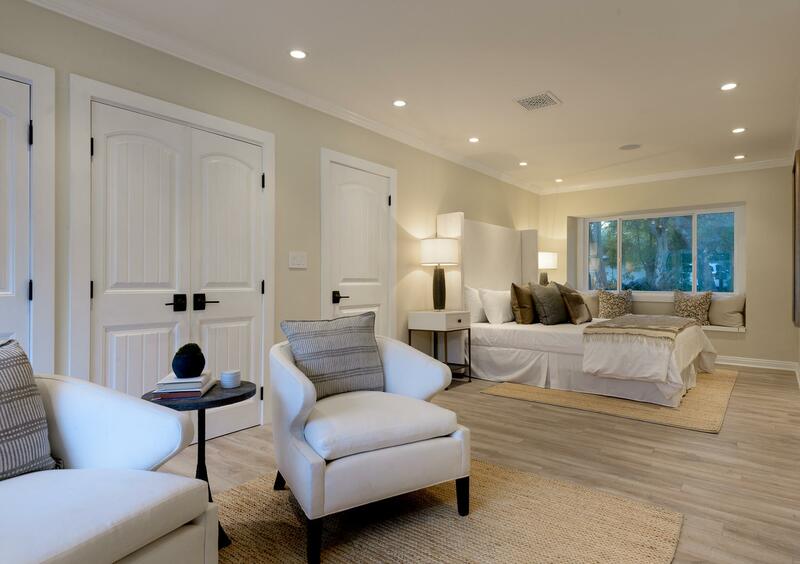 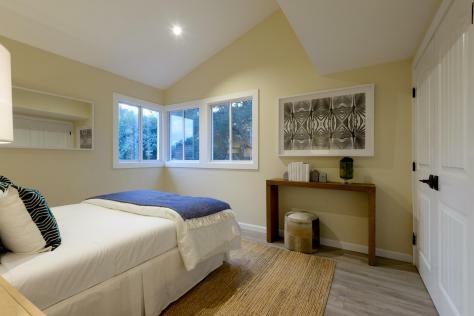 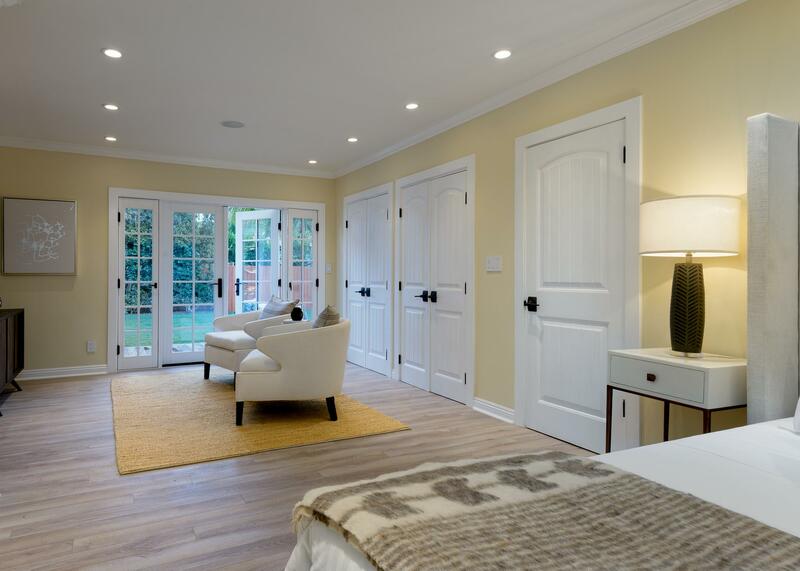 Resting on a quiet cul-de-sac in the much-loved Montecito Hedgerow neighborhood, this recently redesigned and tastefully upgraded home offers everything required of a perfect family residence while providing an excellent venue for entertaining. 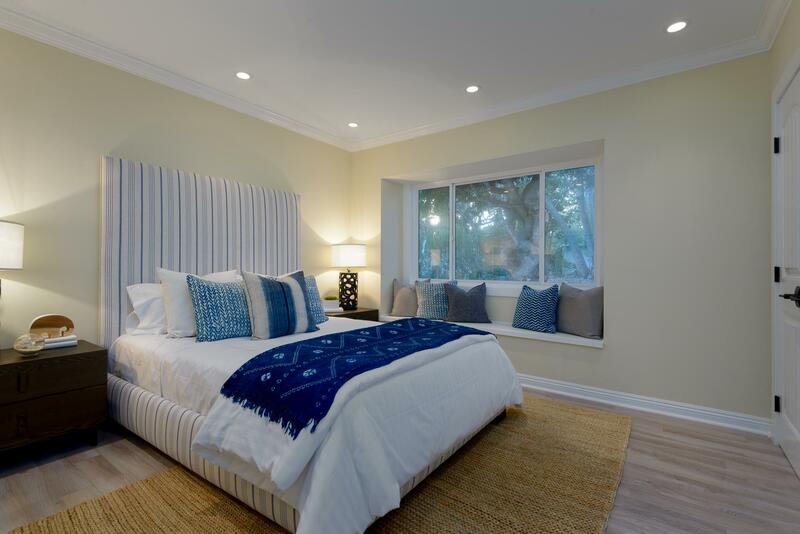 With 4 bedrooms in the main house and 3 in the attached guest apartment, there is plenty of room for relatives and friends. 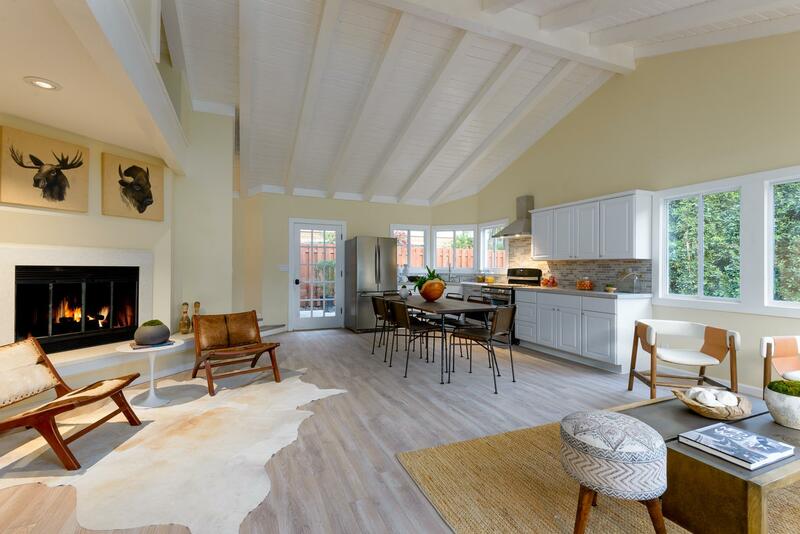 The home's great room emanates spaciousness and light thanks to its open floorplan, multiple French doors to the large deck and beautiful lawn, soaring open-beam cathedral ceiling, and fireplace set in a stone wall. Wide-plank bleached wood floors, present throughout the home, add an element of casual sophistication. 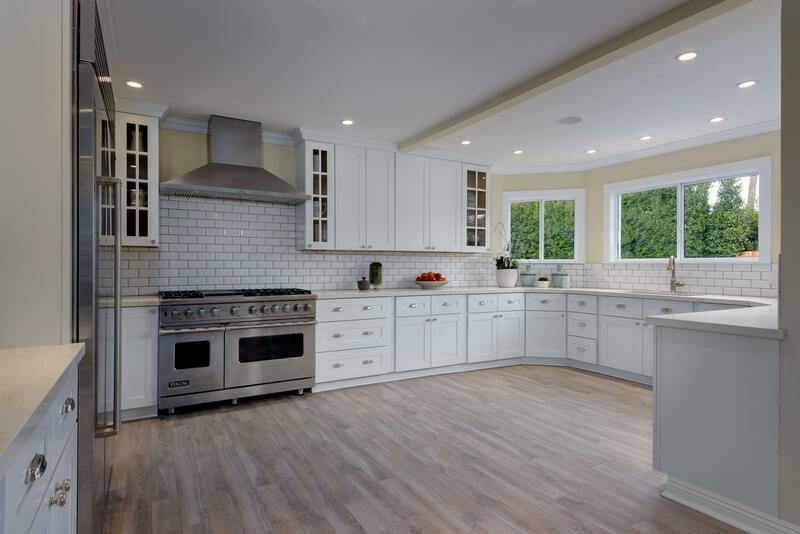 The chef's kitchen features high-end stainless appliances, recessed lighting, and charming Shaker cabinetry.